Brothers in "Good Standing" get value added. Delta Pi alumni Association exists on Dues. We want to reward those brothers who contribute to the cause. One of the hardest things for the Alumni Association to balance is member rights vs. responsibilities. 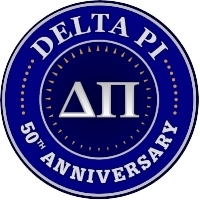 The Delta Pi Alumni Association feels that every brother of Delta Pi (regardless of level of involvement) in entitled to this website, Facebook page, and inclusion in the daily activities and events of the Alumni. We do not want any of these things to be private, or only serve a portion of the brotherhood. We want all brothers, to be able to use any of these venues, to connect, relax, and enjoy the fellowship that brotherhood affords. You earned that respect, by choosing to be a brother in the best fraternity in the world. That being said, there are those brothers who go beyond "casual" involvement, and become the foundation of the Alumni Association. Those are the brothers who pay their dues. If you want to unlock all the benefits of this website, and take advantage of the V.I.P offerings at our events, and realize discounts where possible: pay your dues today, and get started! It's very easy to pay your dues using a credit card or PayPal.